The JasperNet Single SignOn (SSO) page is undergoing a major update. Changes have been made to make the signon page more useful and more secure. This page will index changes made to the signon page and explain what is being done to keep your account safe and secure. The JasperNet signon page is undergoing a facelift as well as moving to a new home - https://secure.manhattan.edu You'll notice a number of cosmetic changes that have made the page easier to use - especially on mobile devices - as well as more content and links to campus events and ways to get help with your account. 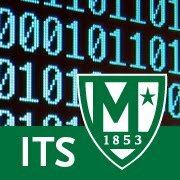 More importantly, the new home - https://secure.manhattan.edu - provides enhanced security in the form of "Extended Validation" SSL encryption. EV (Extended Validation) provides a way for web browsers to easily show the user that they are accessing a secure and trusted site by highlighting and confirming the site owner in the address bar. ITS is committed to provide a safe and secure computing environment. As we extend our services into the "the cloud", we make it easier to access information - but also easier for unauthorized individuals to access the information as well if proper safeguards are not in place. The updates to the JasperNet signon page are aimed at preventing unauthorized access to private data and helping JasperNet users safeguard their accounts. Phishing scams are becoming more frequent and targeted. Phishing scams aim to "trick" users into providing their account credentials or personal information by sending them an email or presenting them a site the pretends to be a site that they trust. Often these sites are crafted to look like another authentic site in order to trick the user into thinking that they are on a trusted site. Phishing attacks are often more subtle than requesting a password via email. Sometimes phishing sites look so similar to the real site, many users cannot tell the difference.